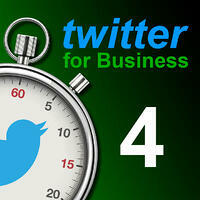 Ever wonder how you can best leverage 140 characters in a tweet? This Twitter for Business lesson explores the anatomy of a tweet, including hashtags, mentions, short URLs, and abbreviations. The lesson also explores the elements of a tweet once it has been published. I'll show you the different ways you can view and share your own tweets and others' tweets from within your timeline. Stay tuned for lesson 6 when I discuss leveraging these and many additional Twitter features to their full potential.